From the moment of Kennedy’s death, many on the left suspected he had been the victim of a conspiracy of the radical right. Then, as now, Dallas was a center of conservatism. But Kennedy was killed by a Marxist who had earlier defected to the Soviet Union and returned—a Marxist who murdered the liberal president for the same reason he had earlier tried, but failed, to murder a conservative retired general in Dallas, Edwin Walker. Both Kennedy and Walker were prominent anti-Communists, and Oswald took it on himself to target them on behalf of communism. The more sympathetic to Marxism members of the American left were, the more embarrassing it was going to be for them to acknowledge the motivation of Kennedy’s killer. As William Manchester reported in his 1967 book Death of a President, even Jacqueline Kennedy found the explanation hard to accept. “He didn’t even have the satisfaction of being killed for civil rights,” Jacqueline reportedly told her mother. “It’s—it had to be some silly little Communist.” A substantial minority on the political left retreated into the fantasy that Kennedy had been assassinated by the CIA or FBI or somebody else in the government, in order to install the Texan Lyndon Johnson in the White House. New Yorkers made a hit of a 1967 play called MacBird!, in which LBJ murders his way to power in the manner of Macbeth. But even that fanciful theory ought to absolve Dallas. 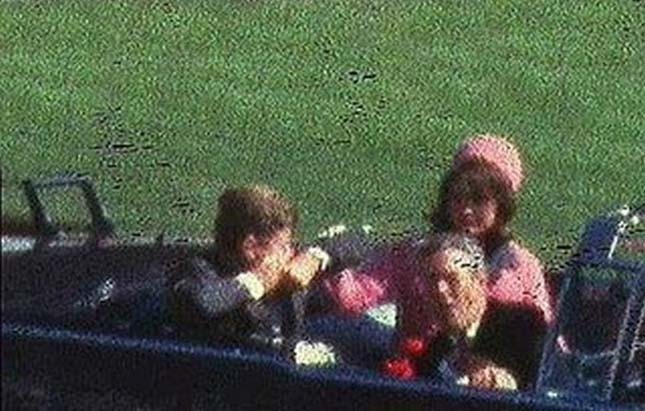 If Kennedy really had been murdered by members of his own government, then the reputation of Dallas, the mere scene of a conspiracy hatched in Washington, should be off the hook. Smearing Dallas by association, however, does not require the promotion of any conspiracy theory. The New Yorker magazine has recently run not one but two essays that dance around the Dallas-killed-JFK theme. Oswald was an avowed Marxist, which might seem to absolve the city’s right wing of any responsibility. But Dallas 1963 places the assassin in context as a malleable, unstable figure breathing the city’s extraordinarily feverish air. The air quality of Dallas must have been extraordinary indeed. After all, Oswald had spent the years 1959-62 as a defector in the Soviet Union, breathing in the air of Minsk, while his stint in the Dallas-Fort Worth area, starting in June 1962, had lasted only a third as long. Sirhan was an avowed Palestinian radical, which might seem to absolve the California left of any responsibility. But the assassin must be seen in context as a malleable, unstable figure breathing the extraordinarily feverish air of a state agitated by the Berkeley Free Speech Movement and the Summer of Love. Michael Lind is co-founder of the New America Foundation and author of Made in Texas: George W. Bush and the Conservative Takeover of American Politics.